NOTIZIA DELL’ULTIM’ORA, EDIZIONE STRAORDINARIA CHE PROBABILMENTE RIVOLUZIONERÀ IL PANORAMA DELLA MUSICA ITALIANA. NO, DAI, NON SIAMO STUDIO APERTO E NON STRILLIAMO NOTIZIE A CASO. IL FATTO CHE CI FA SCRIVERE QUESTE RIGHE E’ MOLTO SEMPLICE: I CROOKERS NON SONO PIU’ IN DUE. E’ UFFICIALE (VEDI LO STATEMENT SUL SITO), BOT ABBANDONA IL PROGETTO PER DEDICARSI AD ALTRO, NESSUN LITIGIO, SEMPLICEMENTE DOPO OTTO ANNI DI RELEASE E COLLABO MASSICCE (GUARDATI LE TRACKLIST DEGLI ULTIMI DUE ALBUM, CAZZO), COCKTAIL ROVESCIATI SULLA CONSOLE, TOUR MONDIALI, BOT DECIDE DI PRENDERSI UNA PAUSA, AFFITTARSI UN’ISOLA IN MEZZO ALL’OCEANO, RELAX E POI RIPARTIRE. NON STIAMO PIANGENDO COME ABBIAMO FATTO COI LOL BOYS, PERCHE’ IL NOME CROOKERS CONTINUEREMO A SENTIRLO, PORTATO AVANTI DA PHRA, IL FRANCESCO COL PH. QUINDI LA BUONA NOTIZIA E’ CHE TUTTE LE FIGATE CHE VI HANNO ALLIETATO LE SERATE NEI CLUB DEL MONDO INTERO CI SARANNO ANCORA, POCO CAMBIA, CROOKERS CONTINUERA’ A SFORNARE LE HIT COME SEMPRE, QUINDI STAI SINTONIZZATO, CHE PRESTO ARRIVERA’ IL PROSSIMO COLPACCIO FIRMATO CROOKERS SUI VOSTRI LETTORI CD, MP3, CASSETTE, 45GIRI, MINIDISC. 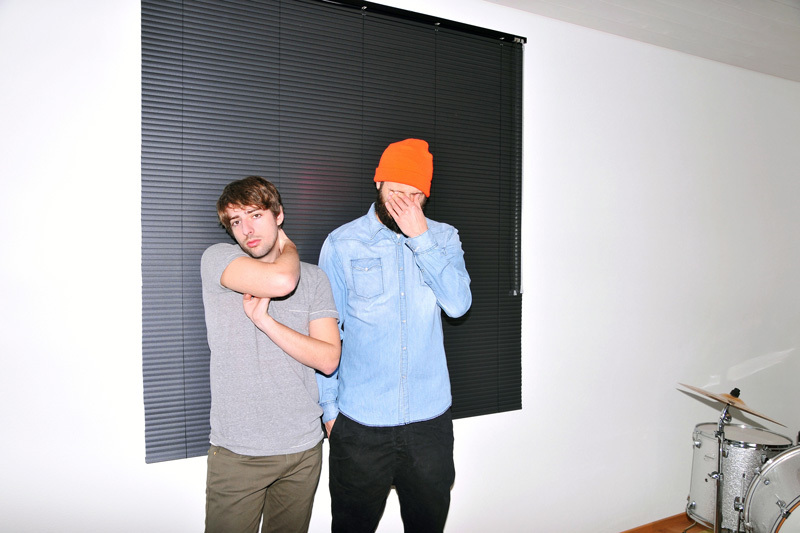 “ITALIAN DUO CROOKERS (PHRA & BOT) HAVE DECIDED TO NO LONGER WORK TOGETHER. BOT IS PURSUING A NEW DIRECTION, WHILE PHRA WILL CONTINUE ON AS CROOKERS. “AFTER HAVING WORKED TOGETHER FOR MORE THAN 8 YEARS NOW, THE TIME HAS ARRIVED TO START EXPLORING DIFFERENT DIRECTIONS.” BOT SAID. NOI LI VOGLIAMO RICORDARE COSI, AL SOUND PELLEGRINO FESTIVAL (A CUI ABBIAMO PARTECIPATO) LO SCORSO APRILE. PHRA HA CONFEZIONATO & SGANCIATO IL NUOVO MIX DI PRESENTAZIONE DEL NUOVO SITO.